Custom BrewCrafters will change its name to CB Craft Brewers effective this month to reflect the company’s roots in creating locally-brewed, custom craft beers and its expansion of bottle and draft craft beer under the CB brand in New York State. Alcorn left Kodak 16 years ago and disappointed by the lack of quality craft beer in the area, he decided to open a brewery in Honeoye Falls, N.Y. He brewed custom beers for area bars and restaurants as Custom BrewCrafters to reflect the company’s core business model of brewing custom, private label beer. Examples include Jeremiah’s Frog Grog and Distillery Scotch Ale. A small tasting room was built to give customers the opportunity to sample the custom brews and take home filled growlers. Within a few years, the overwhelming success of the business allowed Alcorn to brew a few craft beers under the brand “CB” and sell them to select retail markets and draft accounts in Rochester, N.Y.
Fast forward 10 years and several more CB brand beers, to when the brewery reached capacity limits. In 2008, CB Craft Brewers went from a 1,500-sq-ft facility in Honeoye Falls to a 10,000-sq-ft building just down the road. Several new tanks and a bottling line were added, allowing the company to further expand its CB brand year-round and seasonal offerings in both bottle and draught. In 2011, CB Craft Brewers opened a brew pub at the brewery called the Pint & Goblet Tavern. The brewery added three 60 barrel (bbl) fermenters last year, which represented a 54 percent increase in capacity. By March 2013 the brewery was back up to full capacity. In the next couple of weeks, CB Craft Brewers will install another two 60 bbl fermenters along with an enhanced bottling line and spent grain handling system. This expansion represents a 115 percent increase in capacity over a 16-month period of time. 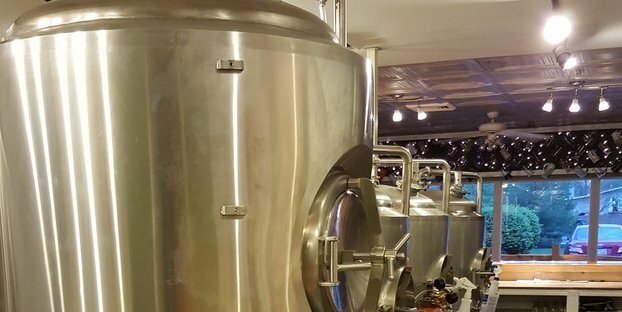 The brewery has no current plans to expand distribution out of New York state. · New name and logo on all CB brand beer as well as new bold and engaging bottle packaging. · New 12 oz bottle seasonal offerings: Harvest Jack Pumpkin Ale available in stores now and a new winter seasonal available November 2013. Plans are in place to offer new products in 2014. · A new website to launch Sept. 19 — www.cbcraftbrewers.com. The website will host a beer finder to help consumers easily locate CB Craft Brewers custom and CB brand beer. · Visitors can experience great beers, beer-infused dishes, monthly events and daily tastings at CB’s Tasting Room and The Pint & Goblet Tavern.